Obstruction and chaos win at the Supreme Court. Entry 3: The forces of obstruction and chaos win big. Members of the U.S. Supreme Court in September 2009 pose for a group photograph at the Supreme Court building in Washington, D.C. I cannot quite believe it’s been 15 years, Walter! I recall that very first year you even wrote about what you were eating for breakfast! Adorable. And now we are simply old people, or at least I am old people and you, Walter, are a faster internet writer than me. To the rest of this merry band, welcome or welcome back! I am so incredibly glad to spend what remains of the 2015 term simultaneously basking in your collective brilliance and trying to game out an end-of-term unlike any I have ever experienced. Compared to the drama of last year’s Breakfast Table, it still feels to me a bit like this whole term has been dropped in a puddle. Dawn, I had a similar thought as yours, reading Walter’s first post: How quickly we have all simply normalized the fact that there are eight justices on the court, and this is the immutable truth, and it will be this way for most of next term, and that everyone—including millions of Americans awaiting definitive answers on crucial questions—is simply watching how the court plans to brazen through that challenge without ever breaking a sweat. What a rout for the forces of obstruction and chaos! We aren’t even really getting a chance to address the important constitutional and structural questions Dawn raises because they were hashed out, and dismissed, in February. The new normal is both outrageous and completely uninteresting. This makes me quite grumpy. But I don’t want to take it for granted that everyone agrees with that assessment. A lot of folks were delighted that the court didn’t take the Connecticut gun ban case on Monday, and the more we live with a hog-tied court, the more attractive that reality might become to many of us who feared big losses on both sides of the aisle. I do worry that Americans may become used to a court that does almost nothing, and—if things ever return to normal—they may come to resent a court that does anything more. 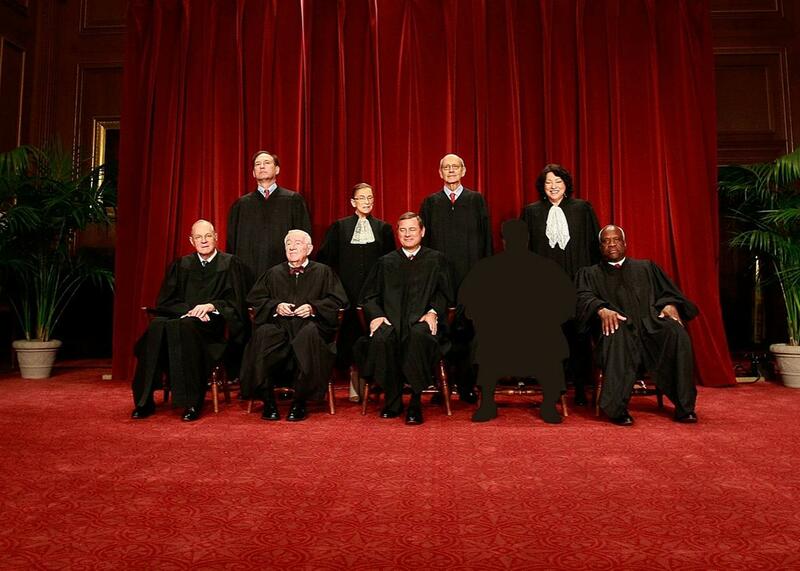 So I guess my question for the rest of you, as we wait for tomorrow to rain down upon us, is whether it even matters that a broken Congress has temporarily kneecapped the Supreme Court? Maybe a term that limps its way to a minimalist, confusing, under-the-radar conclusion is ultimately a fantastic thing for the current political climate. Any takers? Looking forward to the coming days with you more than I can say.